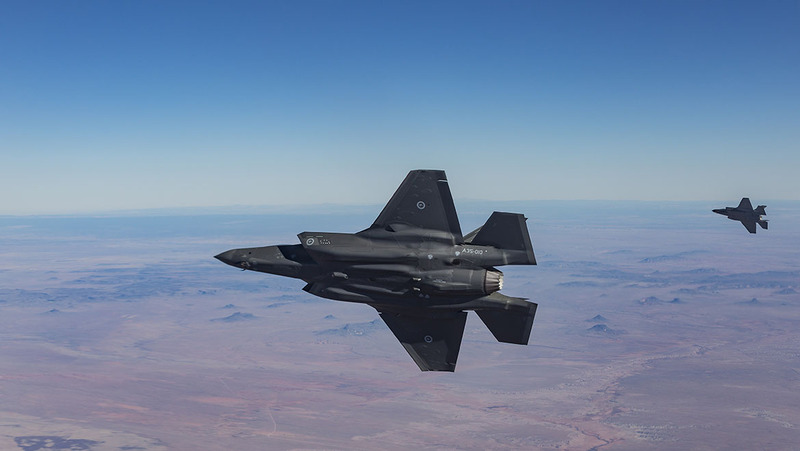 The Commonwealth has signed a Heads of Agreement for Australian Sovereign Sustainment Contracts for the RAAF F-35 program with Lockheed Martin. 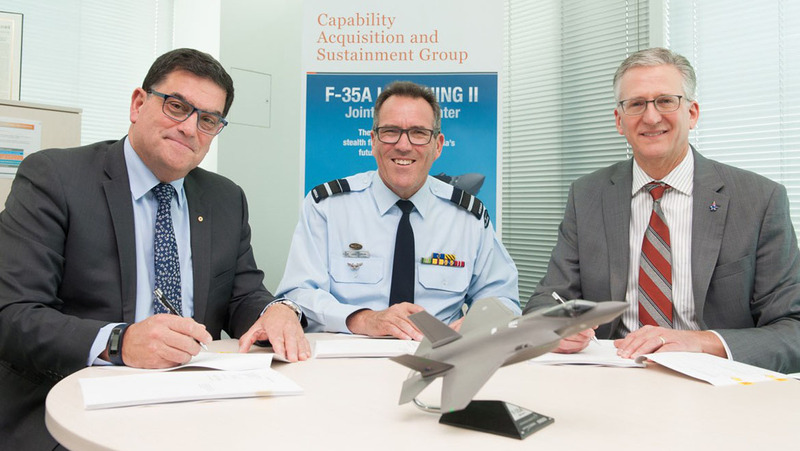 Signed on December 12 by JSF Division head AVM Leigh Gordon, chief executive of Lockheed Martin Australia & New Zealand, Vince Di Pietro, and vice president F-35 customer programs Lockheed Martin Aeronautics, Doug Wilhelm, the heads of agreement establishes the intellectual property (IP), rechnical data (TD) and software arrangements for Australia’s direct sovereign sustainment contracts with LMA and LMC for the F-35’s life of type. “While Australia’s fundamental strategy is to leverage off the global support solution and the joint program for our sustainment, there are a number of elements of sustainment where we’re keen to have the ability to contract for it ourselves at some point in the future,” AVM Gordon told sister publication ADBR. “The heads of agreement establishes a framework between the Commonwealth, Lockheed Martin Corporation and Lockheed Martin Australia to recognise that, if we enter any contracts into the future we need to identify and collect the intellectual property and data developed under those contracts and the F-35 program, as appropriate,” he said. AVM Gordon used training as an example of how this may be executed in future. “Right at the moment, we’re leveraging off the international enterprise to support us in training in Australia,” he explained. AVM Gordon used the example of the Newcastle-based Milskil which provides pilot training services to the RAAF. While Milskil is contracted directly for its classic and Super Hornet training services, the company is currently a sub-contractor to the arrangement the RAAF currently has in place with the JPO. Examples of the kind of data that may be in play includes training courseware, software and aircraft performance data to support training. “There would also be operational procedures that are developed to allow us to actually manage ALIS (the F-35’s autonomic logistics information system) that we would want to have the ability to be able to identify and use, as well as contract to somebody else to get the work done,” said AVM Gordon. AVM Gordon added that the agreement signed with Lockheed Martin may be a model for future sustainment agreements for other advanced data-reliant capabilities and systems. “You need to understand the subtleties of the support arrangement that are in place for each system,” he said.